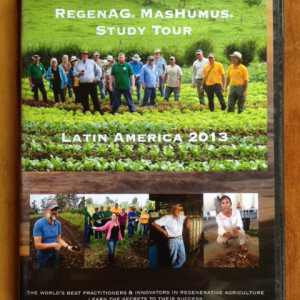 In September 2013, RegenAG took 17 farmers from Australia on a Study Tour of Latin America looking at the methods of MasHumus. We visited12 farms across Mexico, Costa Rica and Ecuador, everything from bananas to roses, avocados to papayas, chickens to lettuces and vegies. It was an incredibly inspiring experience and proved to our farmers that the MasHumus methods work on any scale, even the biggest in the world. View the trailer for the full DVD production below.